Whether it’s general aviation or commercial transport aircraft, the aviation industry requires highly trained technicians to manage hardware, troubleshoot systems, repair airframe structures, and maintain powerplant (engine) systems. 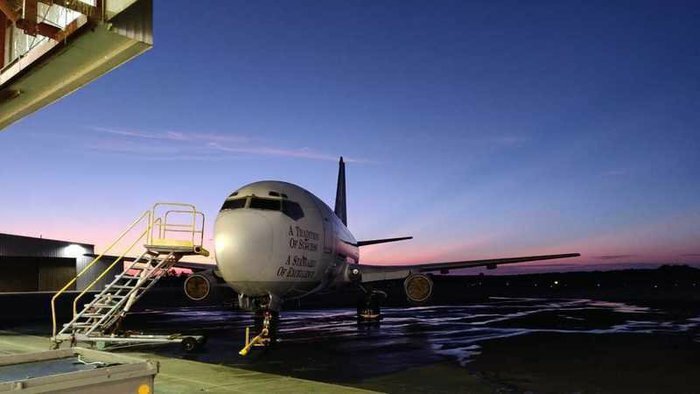 SIUC Aviation Technologies is ranked among the best in the nation. Our courses were developed following Federal Aviation Administration (FAA) guidelines, as well as with input from industry representatives and alumni; our program provides the essential skills and broad educational experience necessary to thrive in today's competitive environment. Optional paths within the major provide a great deal of flexibility in preparing for a career in the aviation industry. Students may pursue the FAA airframe and powerplant (A&P) certificate in a five semester sequence of coursework, or they may complete the A&P along with additional coursework as part of a Bachelor of Science degree in Aviation Technologies. The bachelor's degree in Aviation Technologies is designed to enhance technical training students have received in aviation maintenance or electronics. This technical training may be acquired through SIUC, at other post-secondary institutions, in the military, or in the case of aviation maintenance, at other FAA approved maintenance schools certified under F.A.R. Part 147. The American Airlines Aviation Career Day has been scheduled for April 27, 2019. We are happy to have American Airlines flying students to our campus. This event is designed for high school students in the Chicago area who are interested in aviation. The event begins at 6 a.m. with check-in at O'Hare International Airport in Chicago for a flight to Southern Illinois Airport at Carbondale-Murphysboro, Illinois. 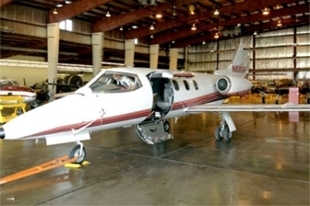 The selected students will be flown to Carbondale to tour SIU's aviation facilities, the main SIU campus, the SIU Student Center, and Recreation Center. Students will be flown back to Chicago by around 5:30 p.m. the same day. Registration is now closed. Those selected will be receiving an email with further information. Aviation Technologies traded a helicopter for a corporate jet to advance the training available to students. 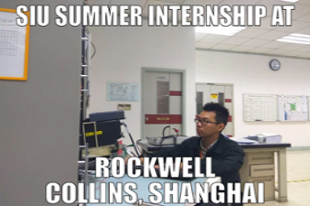 Zong is spending two months through late July working at Rockwell Collins’ facility in Shanghai, China, learning more about avionics. If you are interested in our Online Degree Completion Program click Here.